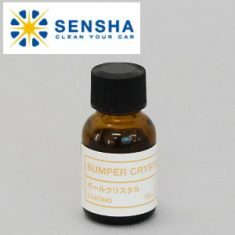 BUMPER CRYSTAL - SENSHA CO., LTD. 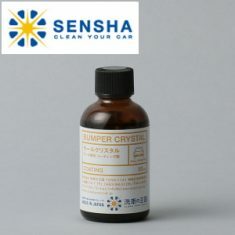 This product “BUMBER CRYSTAL” is a ultra-hard glass coating for bumpers to restore plastic surface. 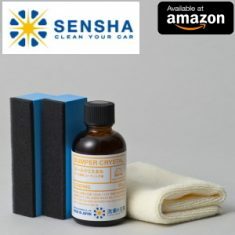 It is different to polishing products. 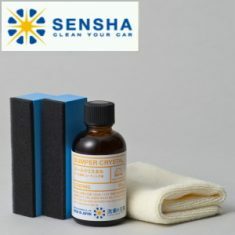 It has been developed specifically for bumpers to restore original luster. It is easy to be applied evenly for everyone to use.By using legacy precuts, the bumper became white again after time has passed. 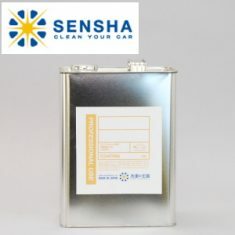 The “BUMPER CRYSTAL” keeps the luster for long time by creating clear glass coating. Most of bumper polishing products (whether for personal or business use) use petroleum as main ingredient. 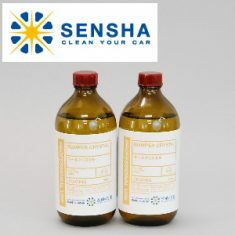 Petroleum-based solvents (close to the tire wax) will get oxidation. 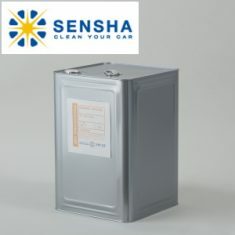 The film coating which degraded by oxidation will eventually removed by rain.Furthermore, the coating not removed properly can create bad oil film. 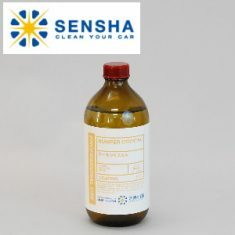 This condition can be worse than before applying the polishing products. 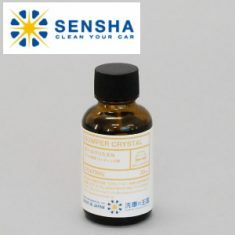 “BUMBER CRYSTAL” is a mineral hard glass coating. It will not have oxidation and deterioration.